Pokemon GO blog - Latias and Latios Fly into Regional Raid Battles! As Pokémon’s legendary year continues, two Legendary Pokémon originally discovered in the Hoenn region are appearing in Pokémon GO Raid Battles for the first time! Dragon- and Psychic-type Pokémon Latias and Latios will appear in different areas around the world for a limited time starting April 2. The Legendary Pokémon Latias will appear in Raid Battles across Europe and Asia, while Latios will appear in North America, South America, and Africa. On May 8, the Eon Pokémon will switch locations and will be available until June 5, so all Trainers will have the opportunity to catch both powerful Pokémon. Still searching for the perfect Pokémon to battle Latias and Latios? Pokémon with moves that are particularly strong against Psychic and Dragon types, such as Tyranitar and Mawile, will also be appearing in Raid Battles, so you can put your best team together! 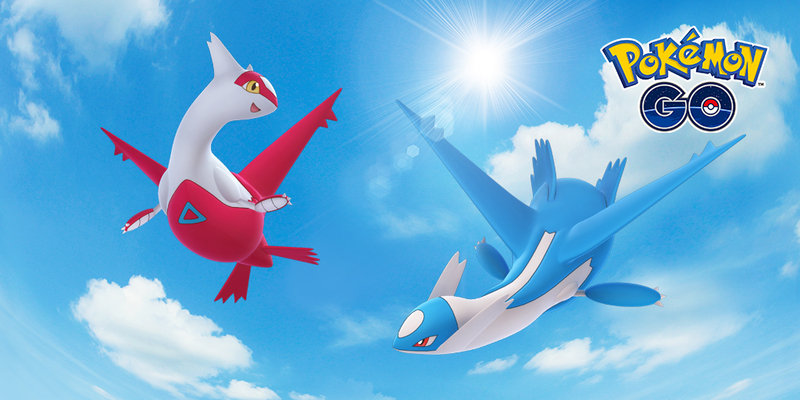 Both Latias and Latios will leave Raid Battles on June 5, so grab your friends and don’t delay! Take on the challenge and seize the opportunity to add even more Legendary Pokémon to your Pokédex. Good luck!